The annual ritual of the government’s budget with allocations of money in billions is just gobbledygook for the average citizen. It is the “tone” of the budget which people tune into first and foremost. 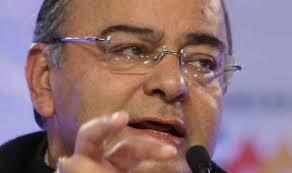 What must Finance Minister Jaitley do to get the tone right? First, clothes make a man, as they do a woman. One hopes that the FM will avoid the intricately embroidered shawls he has shown a preference for through winter. He would do well to wear a tailored, dark “bandh gala” (Nehru jacket), now that he has the figure to flaunt one, perhaps with a low- key, accessorized collar. More importantly, the jacket would set the tone of the budget to follow- non-frivolous; cut to a reduced shape to fit the cloth available; modern with a link to the India’s rich past and prescient of India’s glorious future. Second, he should depart from the tradition of the FM rambling on, in the early part of the speech, about the state of the economy. This is already adequately covered in the Economic Survey released a day or so earlier. Instead, he could usefully spend this time defining a “budget theme” which he must then follow through in the rest of the budget speech by linking specific allocation and taxes to the overall theme. This writer suggests the theme of “open economy, markets and poverty reduction”. All three fit nicely with the “growth” expectations unleashed by PM Modi. Also these are the three legs for equitable growth. An “Open Economy” policy stance has been consistently followed since 1991 in external trade. It is just that, India has not benefited as much as our neighbours in East Asia. The fault is clearly ours. Our governments have not seized opportunities overseas which could be dovetailed with domestic comparative advantage, to make the economy part of global value chains. This becomes vital now if jobs are to be added in India. The real issue is what must we do next to “open” the economy to competition- domestic and international? Four steps suggest themselves. First, linking markets physically by a first rate “infrastructure grid”-ports, roads, rail and electricity is key to create a seamless national market. Second, a digitized “tax grid” linking national, state and local level tax systems can enhance revenues; prune evasion and reduce the aggregate tax burden by avoiding “the pancaking of multiple autarchic taxes”. The ongoing Goods and Services Tax (GST) initiative barely scratches the surface. Third, aggressively privatizing state owned enterprises, including in arms and ammunition, can provide the required business momentum for competitiveness; assist in reaching fiscal deficit targets and benefit consumers. Fourth, why not open, hitherto closed, domestic markets in land, legal and media services to foreign investment except where considerations of national security exist. The FM could signal the second wave of liberalization and reform to follow up on the 1991 wave- external trade reform and industrial delicensing, by (A) tweaking competition thwarting domestic regulations and (B) supporting Indian business to reap the benefits of an open economy internationally. The BJP has always enjoyed the trust of business. But their commitment to expand markets and competition is not deeply etched enough. There is a lingering fondness for using and growing, the already vast powers of the State to bypass markets and “fast-track” development in a top- down “Developmental State” mode. Examples include the loss of focus on privatization of state owned enterprises- partially attempted by the Vajpayee government (2000-04); a growing tendency to use the already iffy balance sheets of public sector companies and banks as leverage for funding “impossible public dreams”. Examples are a larger than feasible or necessary target for horrendously expensive and as yet commercially unviable, renewable energy systems and the development of a hundred SMART cities with even the concept remaining undefined nine months down the road. Neither of these “public dreams” can be funded by market based finance. Both require huge subsidies, either direct budgetary allocations or indirect like “directed” loans from public sector banks. Bad loans which are artificially rolled over in government banks are, as a proportion of total assets, more than double the proportion in Indian private banks. Government owned businesses and banks need to be made autonomous if they are to survive. RBI should censure banks, which make irresponsible “dream” commitments and SEBI should do the same for listed government companies to protect minority shareholders. The FM must set the record straight on both fronts. The fiscal constraints on public finance are unlikely to permit massive direct allocations for renewable energy or urbanization. He must further clarify that whilst both goals are laudable they should be achieved through projects, which are technically sound and financeable through market instruments. The FM must point out that renewable energy development, whilst a flag ship project, is hampered by the disincentive of subsidized conventional energy supply. Allowing market prices to prevail for retail energy supply is the first step to making renewable energy financeable. The World Bank initiated a new program of Green Bonds which tap “specific institutional and retail investors with a yen for green development” internationally. Of the US$37 billion Green Bonds issued in 2014 nearly one half were corporate Bonds. Such debt instruments could also be developed for the US$ 1 Trillion Indian domestic Bond market, 25% of which is corporate debt. Similarly, realism on urbanization agendas is urgently needed. For orderly urbanization the funds must be found within urban areas by rationalizing property and land tax and raising revenue by leasing government land banks for development to private developers. China successfully unleashed Municipal entrepreneurial energy to finance local development. Using national tax resources for urbanization is a poor use of scarce resources. Cities, which on average are 50% richer than rural India, must finance themselves through user charges, local taxes and monetization of local government resources. There can be no free lunch for a city. For starters, the FM could usefully adopt the international metric for defining the very poor as those who earn less than $1.25 per day and the poor as those who earn up to $2 per day. But what is much more important is to share a time bound vision for ending poverty. The World Bank has set 2030 as the year by when world poverty (per capita income >$1.25 per day) is expected to be reduced to a residual economic and social challenge. India could simply align with this challenging target. The international consensus on poverty reduction is that strategies which allocate more resources for human development, livelihoods and private sector employment work best. India has lagged in enhancing budgetary allocations to education and health (including water and sanitation), as compared to any other growth oriented economy. One hopes the FM shall redress the skewed allocation since it affects the poor the most. If this logic is followed, the small and medium scale manufacturing sector, rather than mega projects, should be the focus for jobs and poverty reduction. This is where manufacturing is the least capital intensive; can use existing infrastructure with some rejigging; is most easily related to agriculture and could more easily grow incrementally as business expands. We must avoid the trap of subverting the “growth” agenda into glitzy but lazy action points. To grow jobs for the poor it is the small things that count, like removing municipal and police harassment of street vendors; simplifying tax assessment processes and “problem solving” by getting local and state governments in growth mission mode. The FM must pledge to blur the dualism in “well-being”, between 10% of the workforce in the “large, formal” sector and the 90% in the informal sector. The lot of employees in the informal sector can only be improved by “facilitating” employers to grow their businesses. This will happen only if labour regulations are light handed; permit flexible and fair employment practices and adopt a sequenced, incremental strategy for improvement in labour welfare supported by adequate public fiscal support for social protection. Applying a “poverty and jobs filter” to the budget allocations could be an innovative way to present the inter-se allocations across sectors and relate them to the budget theme. This would also discipline government departments to relate their work to the objective of private sector jobs and poverty reduction. There are many ways of packaging a budget speech which very few actually read though more may hear it through. It should therefore be written for this audience and not the specialist, who will anyway delve between the lines. Best to outline the inflection points in Indian public finance history the budget seeks to create and leave the rest to the TV channels. NextThe Pachauri saga: why did the dog not bark?